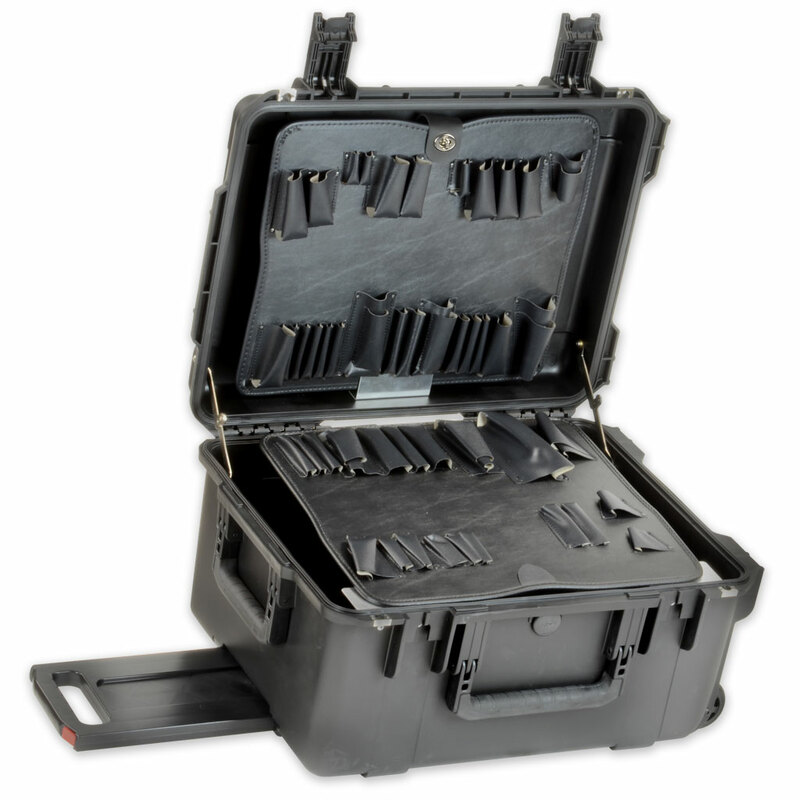 Virtually indestructible, watertight, scratch and corrosion resistant, our SKB Custom Made tool case is made to go places and do things that would destroy a lesser case. If you often work outside in extreme conditions, this tool case is for you! Features telescoping handle, wheels, snap-shut latches and two loop holes for padlocks.